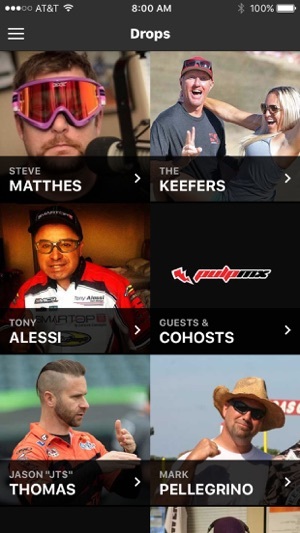 The Official app of PulpMX.com. 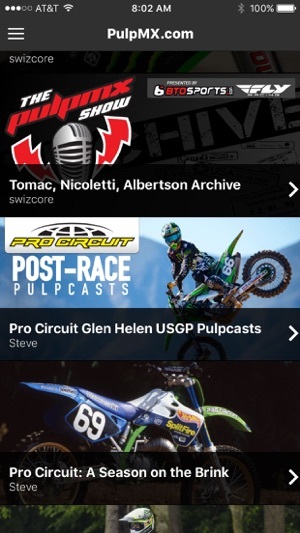 Archives, PulpMX Show drops, editorials, technical info and *bonus* content only available in the App. 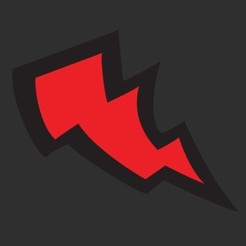 Overall I like the app but it has some functionality problems. On iPhone SE running iOS 11.3, the app does not line up in the screen. 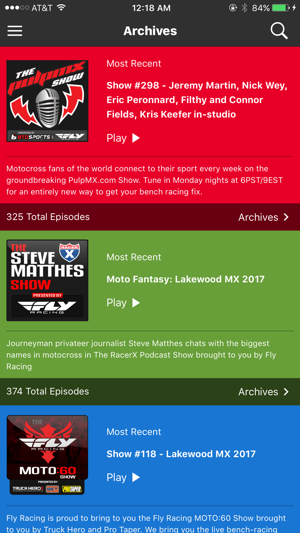 The 30 second skip function goes the opposite direction or to random times in the podcast. I can’t listen to live shows. When I press play on a podcast, nothing happens. When I reopen the app the resume a podcast, it starts over. Etc. etc. Would be great to get an update to fix all of this. Heard from a friend how awesome the podcast is, so I downloaded the app after paying for it. And it just will not load anything an after a few seconds it will shut off, an go back to my home screen.